RESI Innovation Challenge: Who Knocked it Out of the Park at the Home of the Boston Red Sox? At LSN’s third Redefining Early Stage Investments (RESI) Conference, 32 pre-screened medtech and biotech companies competed to be crowned the winner of the RESI Innovation Challenge. All attendees were given RESI Cash with which they could “Invest” in their favorite presenting company at the show and whoever was able to raise the most RESI Cash as deemed the winner. ORIG3N, based in Boston, MA, is a biotechnology company developing breakthrough treatments for rare genetically inherited diseases with targets in heart, liver and neurodegenerative indications. These treatments are based upon Nobel Prize winning technology. This will replace the trial & error guess work of treating disease and enable longer, healthier lives. The company’s executive team is made up of industry veterans with greater than 20 years each in the life sciences marketplace. SpineThera, based in Minneapolis, MN, develops novel, sustained-release, injectable drugs to treat pain; offering patients and physicians alternatives that reduce risk, improve outcomes, and manage overall treatment costs in markets with few or no approved drugs. Biosortia Pharmaceuticals, based in Dublin, Ohio, has opened the door to a new frontier of fascinating natural products and potential drug candidates by overcoming the challenges of accessing novel high quality bioactive compounds from uncultuable aquatic microorganisms. 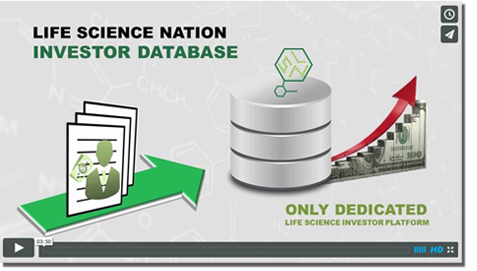 Biosortia’s business model is to monetize its developing library through a highly profitable licensing model.